When people think of vegan food on the go they probably visualize carrot sticks and well...yeah, just a whole bunch of carrot sticks. Thankfully the healthy food movement brought many vegan snacks to the market and the choices are endless. And some of them blow non-vegan snacks out of the water. To find vegan food for on the go, it requires doing some research and potentially shopping online at times, but there’s definitely not a shortage of options. The best advice I can give as someone who has tried hundreds of vegan snacks is the trial and error method, and to steer clear of the choices that have an ingredient list that look more like a romance novel. Bar queen over here. I have about 2 on me at all times and nothing excites me like the bar aisle in a store to see if any new vegan options have come out. All of them vary so much in taste and ingredients, so it’s best to try as many as you can and see what you like the most. 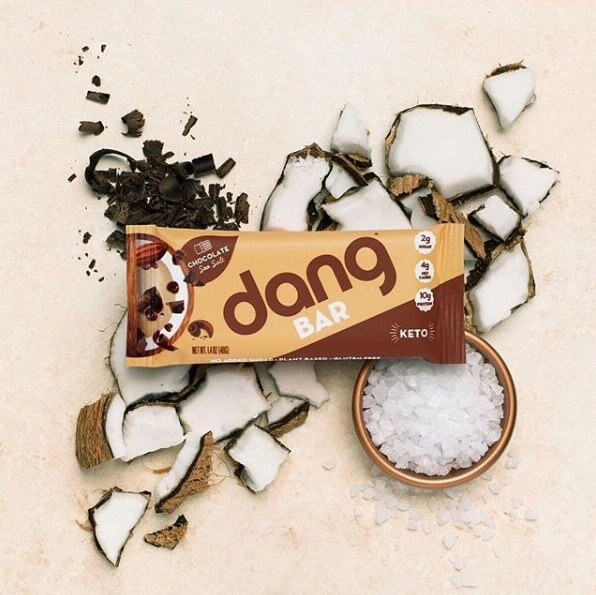 Brands To Try: Larabars (Most are vegan), Eat Your Coffee Bars (Most are vegan), 22 Days Nutrition, Square Organics, Nelly’s, Budi Bar, Thunderbird, Picky Bars, Raw Rev. I can’t begin to express my love for vegan tarts, specifically Hail Merry’s. I came across them many years ago and I’m still just as in love as I was then. Vegan, filling, healthy, sweet, tasty, clean ingredients and perfect for on the go. Perfect for anything really. I eat these for breakfast sometimes, a quick lunch and a snack on the go. What to do with good vegan cereals... portion them off, put in a container and eat them like a snack. Voila! Potato chips are so 1997. If you like the taste of coconut, these chips may hit the spot. Often overlooked, seeds can really get the snack craving job done and done well if you’re into them. Pumpkin and sunflower seeds are filling, packed with nutrients and keep you satisfied till the next meal. These Go Raw chips are in a league of their own. Entirely vegan, a lot of different flavors to pick from and one of the healthiest on the go vegan snacks you can find. The Jetson’s called, they want their snack back. Cassava root chips are made from cassava (also known as yuca or manioc) which is a root vegetable that grows underground like a sweet potato or a taro. The progressive and the new “it” chip is naturally grain free, gluten-free, nut-free and vegan. Rarely do I find a vegan brownie, so when I spotted one in Whole Foods recently, I tossed it in the carriage. An hour later, I experienced a different kind of buyers remorse that could be better spelled as reMOREse...regret for not buying more. If you happen to find these Greyston vegan brownies in a store or online, stock up! Justin’s Dark Chocolate peanut butter cups hit the mainstream world a long time ago and are a godsend for vegans who had to quit Reese’s. If you haven’t tried them yet, get on it! Allergic to peanut butter? Looking for an alternative? Sunflower butter cups are your answer. I choose these over peanut butter cups sometimes just because they are that good. I really love the taste and although comparable to peanut butter, there’s a unique difference. Plenty of yogurt companies are now making dairy-free and vegan alternatives. Depending on what you want, there’s soy milk based, hemp milk based and coconut milk based yogurts. Ritz are out, flax seed crackers are in, tell your friends! Dip with hummus, guacamole or eat as is. 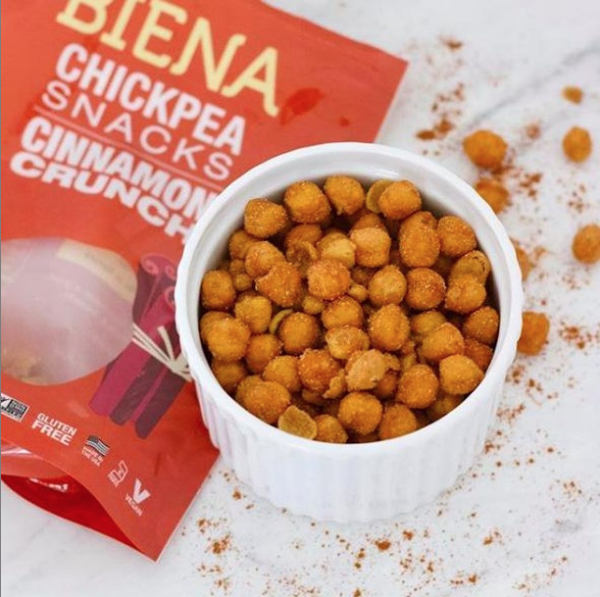 Roasted chickpeas are packed with plant-based protein and ideal for a vegan food on the go option for when you need a serious pick-me-up and aren’t planning on eating a meal for awhile. You can make vegan energy bites at home but sometimes you don’t want to cook, you don’t have the time, or both. 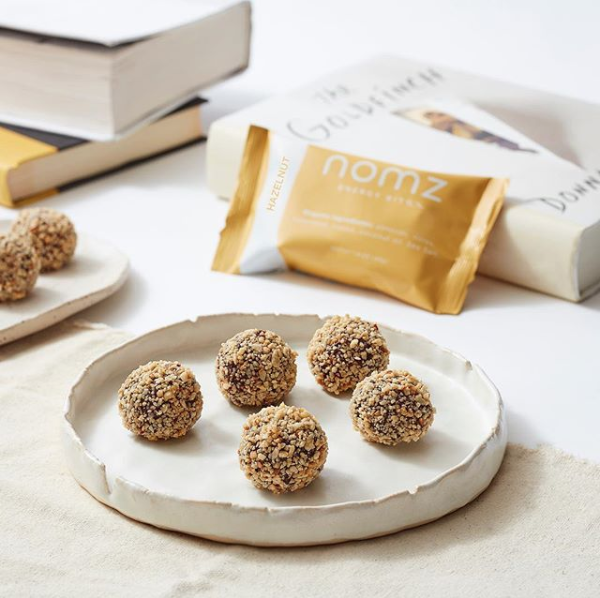 Energy bites are ideal for people living an active lifestyle and don’t want to give in to sweets but are craving them. You’re either in the know about seaweed snacks or you’ve never heard of them and you’re wincing over there. I promise you, many people eat and love seaweed snacks! They are majorly popular amongst people who have tried them and worth a shot.